Zadig & Voltaire cashmere sweater with distressing at neck, hem, and cuffs. Round, ribbed neckline; asymmetric button detail at left. 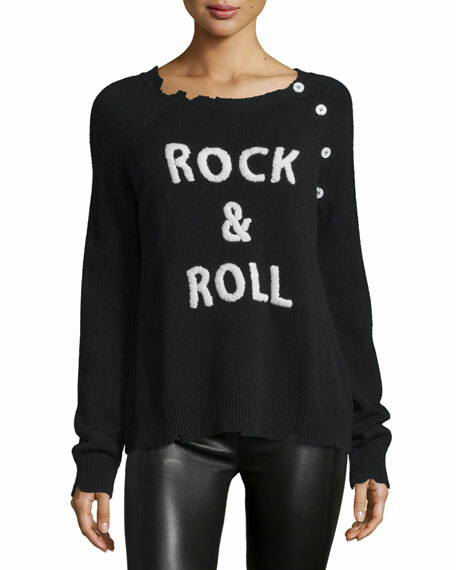 "Rock & Roll" intarsia at front. For in-store inquiries, use sku #1920525.